The Lepchas believe that if a life is spent in accomplishing good deeds then one is rewarded by eternal bliss in Mayal Lang (i.e. Heaven). The Lepchas also claim to be proud pure-line descendants of the original inhabitants of the Mayal Lang Country…while this may be shrouded in fantasy the incredible heritage of the tribe is indeed a treasure. This is exactly why Dzongu Area in North Sikkim is reserved for the Lepchas (this was formalized in the early sixties by Chogyals of Sikkim when the state was still a kingdom). Some even call Dzongu 'The bridge to the Mayal Country”… its beauty and sanctity has been well documented in many books including the famous Arthur Foning book 'Lepchas my vanishing tribe'. The terrain of Dzongu is amazing… there are icy cold rivulets that must be crossed to enter hot water springs and then suddenly there is luscious green forest full of exotic flora and fauna. Cast your eyes around and you are sure to catch sight of at least 5 natural waterfalls… it looks like they have been pasted randomly all over the place. Clouds come and envelop the region occasionally and then there are sporadic light showers alternating with soft mellow sunlight. Dzongu is the perfect destination for the nature loving traveller, the spiritual seeker, the cultural enthusiast and honeymooners. You can stay at any of the villages in Dzongu. The area is divided into upper dzongu (Tingsvong and Kussong villages are here) and lower Dzongu (Passingdong and Lingdong villages are here). If you have the chance of visiting Dzongu during December-January then do target the Namsoong Festival…it has started attracting a lot of publicity. Experience the charm of savouring local delicacies while you sit on yak wool hand spun rugs over a cow dung smeared floor. The Lepcha system of keeping pots and pans warm is the Odhan… a quaint looking tree legged stand. There are many locals who sell roasted pork, beef curry and rice with Chhang (local brew). Funnily, the Lepchas have a completely different routine that can be a shocker to urban people. Breakfast is served by 7 p.m. and they have their lunch by 10.30 a.m. and this routine isn’t usually changed for local guests. Chee is a local homemade beer that’s made from fermented millet… it's served in a tall bamboo glass with a bamboo pipe. Another local brew is cinnamon arrack. Dzongu is about 70kms away from Gangtok (takes about 2 hours 40 minutes by car) and located in North Sikkim… once you reach Gangtok you can take a shared vehicle or a private vehicle to Mangan (an important junction). You will find many shared jeeps that go to Dzongu from Mangan. From NJP or Siliguri the route will first take you to Singtam and then Mangan and then Dzongu. Although there is hardly any traffic between Singtam and Mangan, the road could be quite bumpy due to occasional landslides. The distance from NJP to Dzongu is 150kms and will take little over 5 hours. Accessing Dzongu will require you to secure a special permit from Mangan (a small township along the way and about 11kms before Dzongu). You must book through an established travel agent in Dzongu or through a homestay in Dzongu… individual uncoordinated visits are not advised. Dzongu being a nature's gift, scenic beauty and lifestyle blended with nature are the main attractions that you want to be looking for. Kusong is the highest village in upper Dzongu region… it is an agricultural community who mainly thrive on cardamom plantation. The fragrant air here is a treat for the senses… don’t forget to shop for cardamom while you are here. Other interesting village excursion areas are the Passindang, Tingvong, Sakyong, Lingdem-Rukum villages. The homestays you choose to stay in Dzongu will be located in any of these places and all of these offer opportunities of exploring the Lepcha way of life, their food and agricultural practices and cultural atmosphere. Note that there are no hotels here. Try trekking from Passingdang through fragrant bamboo groves till you reach the quaint village of Lingthem. From here you can get exceptional views of Kanchendzonga (incidentally the mountain is worshipped as a protector deity by the Lepchas). The village stands at the heart of the forest and has a monastery… interestingly a very ancient form of Nyingma Buddhism is followed here. If you visit the Lingthem village around December then you can experience the famous masked dances. If cultural immersiveness is one of your goals then a visit to Hee Gyathang village will surely inspire you. This pretty place is in lower Dzongu and you can reach here by jeep right from Passingdang. There is a small lake here that’s decorated with prayer flags…it stands under a canopy of trees. Innumerable silver fish swim in the lake… the villagers believe that the fish were created from the lice of a goddess who fell in love with a supernatural entity. The Heemos clan here believes that if the silver fish die… their clan too will die. The lake is well tended and the fishes fed regularly… it’s heartening to see the strong bond that the Lepcha share with nature. If you want to get close to the mountains then Pentong should be in your must visit list. It’s the last inhabited place and is quite close to the mountains. For reaching Pentong… you need to trek through the flower filled forests and walk along thrilling cliffs. In monsoons the flattish ground here is converted into a lake… there are twin hillocks here (tarbot and tarbi) that provide lovely views. Incidentally tarbi is worshipped as a deity while tarbot is considered to be a demon and both are offered local fruit and flowers to ensure prosperity of the region. A Lepcha museum that’s constructed in a conventional style is there in Namprikdong that’s near the Sangkalang police check post near the scenic confluence of Teesta and Rongyoung rivers. This is basically a traditional Lepcha house perched on solid stands that are made of stone slabs…. this makes the structure super resistant to the earthquakes that this region is plagued with. This quaint 18th century monastery was founded by Lhatsun Chenpo Lama who was deployed to preserve spiritual relics and ancient manuscripts and keep them safe from the Gorkha invaders. Once every 3 years, the doors of the treasure house in Tholung monastery are opened and pilgrims and visitors have a chance to view the treasures that are kept inside. Even if you can’t view the treasures, simply sitting on the porch surrounding the monastery and viewing the waterfall that thunders trough a deep ravine is a spiritual experience. There is a mystical side to this waterfall…. Lepchas believe that the souls of the departed pass through this waterfall on the road to the after world. The surrounding hillocks have caves which were once the abode of Guru Rinpoche. The place has a wonderful atmosphere and it’s a great place for meditation. There is a traditional bamboo bridge here that will take you straight to a hot water spring with rumored medicinal properties. There are umpteen waterfalls in Dzongu but Lingzey falls are the best of them all. This falls is in Lingzya on the route to Pentong and Sakyong. The drive towards the waterfall will take you through the villages of Nom, Shibim and Passingdang and mountains and bamboo bridges. This one has a drop of 250 feet and is very photogenic. Near the Lingdem Kayeem spot there is a bubbling sulphurous hot spring with different enclosures for entry of females and males. This is a good place for a hot soak and the excellent views of the mountain are an added bonus. You can access this hot spring enroute from Mantan to Kayeem. The typical Lepcha Bridge is made from long bamboo sections that are actually an engineering marvel. These bridges can be seen at several places at Rungkyoung, around Passingdong and right above the Tholung Monastery. Though Dzongu is not a shopping destination, the cane and bamboo centre here at Lingdong village offers some interesting collectible items. You will find bags, carpets, hats, other craft items and mats at this centre. You can also shop for wooden masks and tables made according to local designs. The Lepchas think that lakes are sacred and some of their clans actually originated from them. Try and visit Keushong (this will involve a day’s trekking), Dawathang, Tung Kyong and Ringdem lakes. The homestay where you choose to stay will arrange for a Lepcha guide who can point out the route and help you in reaching the lakes. Beautiful river spots in Rungyoung Chu, River Teesta and Rung Kyoung offer great fishing opportunities. You can fish for katla, mahaseer, trout and other kinds of fish here. Butterfly watching is a major activity here. There are more than 27 species of butterflies which flutter around the banks of Rongyung Chu and other hotspots for butterfly watching are Lingdong and Namprikdang villages. Bird watching is another preferred activity in Dzongu…there are more than 200 species of birds here. The 540 sq. km Dzongu hills have snow clad peaks, alpine lakes, meadows, glaciers and moraines and this invites birds of varying species to come and dwell here. The lower half of dzongu has forests with beautiful biodiversity…the lack of human population and absence of vehicular traffic has further contributed to the birding experience. The Lepcha tribe possesses unusual knowledge about medicinal plants and healing shrubs and they make potions which can chase away the most stubborn of diseases. The traditional style of medicine called Bongthing requires intensive knowledge of plants and the Lepchas nowadays offer tours to tourists which sensitise them to different species of plants and especially the members of the Zingiberaceae family. Partaking in such tours can be an interesting experience. The varied terrain of Dzongu valley, verdant greenery, zero pollution and the as yet unspoilt nature of the valley makes it perfect for treks. Whatever homestay you choose to stay in… the Lepchas are sure to guide you about treks…there are routes of varying levels of difficulty. Late spring and summer time (i.e. March-end, April and May) is the best time to visit Dzongu. The temperature remains moderate & pleasant and the sun usually shines brightly. You can see the entire range of the mountains & the Himalayan snow peaks clearly, and hear as well see plenty of birds. However in May there is a possibility of occasional showers. June until September is the monsoon season and this time should be avoided because there are good chances of landslides in and around Dzongu. Note that landslides in Dzongu are common especially in monsoon. Also during this time due to cloudy and foggy weather the birds fall silent. Treks and other activities becomes difficult to partake... there is also a problem of leeches during this time. Winter time between December to January is again a great time to visit Dzongu as you get clear views of the snow peaks. But you need to bear the extreme cold and go prepared with heavy woolens. In fact the local villagers would often advise that just heavy woolens are not good enough to fight the chill in winter, one also needs to preferably consume some alcohol to keep oneself warm ... there are plenty of inexpensive local brews available at Dzongu. Lepchas are the original inhabitants of Sikkim although in subsequent times Bhutias from Tibet and Nepalese who came in from Nepal constituted the major population of the state. Over time as expected, there has been a fusion of culture & traditions amongst the three communities and the original Lepcha culture in Sikkim had been taking a back seat. This is the reason why this area Dzongu was carved out in 1960s only for Lepchas to preserve the primitive culture in its original form. So Dzongu is one place in Sikkim where you can still experience the original Lepcha culture and practices. However having said that there has still been some influences. For example until the time the Bhutias came to Sikkim and introduced Buddhism in Sikkim, the Lepchas used to worship the mountain Kanchenjunga, and rivers such as Testa and Rangeet. Today while they mostly practice Buddhism, many also combine the earlier practices of worshipping mountains and rivers. Lepchas had been traditionally a peaceful community and engaged in farming, crop cultivation and herding cattle for livelihood. In the early years the Lepchas used to do Jhum Cultivation and they moved from one land area to the other depending on season and land fertility. However that came to an end following survey & land reformation which took place in 1975 whereby the land areas where demarcated and mobility was restricted. The Lepchas still own vast areas of lands that can extend to well beyond 100 acres, but if you ask them, they would say that land areas here are not fertile enough and large land areas are essential to make a living out of crops. 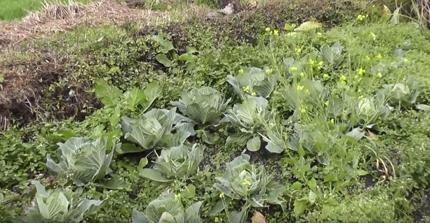 Lepchas in Dzongu grow different types of vegetables including potatoes, squash, avocados, cabbage, ginger etc. Cardamom and rice are two of the main sources of livelihood here, and you can see vast stretches of paddy and cardamom plantations on the slopes of the hills. Men here can mostly converse in Hindi, but not many women can. The women are busy with household matters, tending the farmlands, taking care of their cattle, chickens, pigs and children. But both men and women are peace loving and friendly to guests. It is quite common that both Lepcha men and women getting married more than once. Land or property in Dzongu can only be owned by a Lepcha and if sold, can only be sold to a fellow Lepcha. There are many homestays in Dzongu where you can think of spending a couple of restful days. In fact staying in a homestay is about the only accommodation option there… regular tourist hotels do not exist in Dzongu and this has contributed to the preservation of the ethnicity of the region. This is a beautiful homestay located on a hillock and has a river flowing 500 meters below it. The place has beautiful balconies with scenic views, patio and a pretty yellow white picket fence around it. The rooms in the homestay are clean and comfortable though the amenities are basic rather than fancy. Lepcha cuisine, traditional Sikimese food and some varieties of standard Indian dishes are served but the ingredients used are local and organic which gives the food an added flavor. Don’t miss the opportunity of sampling the local food like salty tea, little finger sized bananas and homemade wine made from millets. Several celebrities have visited the Mayal Lang Homestay…. a good example is the Crown Prince and princess of Norway. Not only are the owner/ manager Gyatso and his wife Samsay friendly (they are both fluent in English, Hindi, Lepcha, and Nepali)….there are 2 dogs and 5 cats there who will rapidly become your friends. Gyatso has immense knowledge about Sikkim, dzongu and the local socio political as well as natural landscape… he is an active crusader against the upcoming hydro power project in Rongyung Chu river. Some things you might find problematic are the lack of attached bathroom and the lack of a proper geyser…though the hosts will give you hot water when required. There is no TV. Internet and mobile connectivity is a little problematic and the approach road to the place requires you to navigate steps…. if you are okay with all of this then the homestay experience promises to be wonderful. This is another well-equipped home stay accommodation that’s managed by Sonam Topgay in the village of Lingdong. This is a relatively new enterprise…established since 2011. There are 5 double bedded rooms in a house that’s styled after cottages and is accessible from the main road. The bathrooms are well fitted and can be almost termed modern. The homestay arranges for hiking, angling, cultural excursions, birding tours and other activities. The Lingthem Lyang Homestay is perched in Upper Dzongu in the Lingthem village… you will be able to see paddy fields and groves of fragrant cardamom all around... lots of beautiful cold streams gush down the surrounding hills. A package comprising of accommodation, three meals (traditional Lepcha cuisine made with local ingredients is served) and unlimited tea and biscuits are served. There are 5 rooms with basic amenities and guests have to adjust to the routine of the hosts which in itself is a unique experience.